Who have you allowed to be the boss? 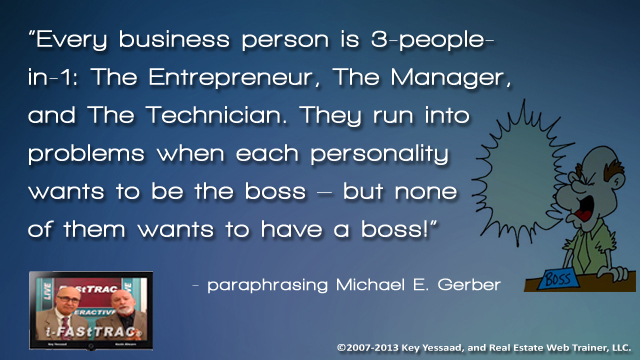 Every business person is 3-people-in-1: The Entrepreneur, The Manager, and The Technician. They run into problems when each personality wants to be the boss ? but none of them wants to have a boss!